Now browsing the archives for the 'ScrapBook' category. return alert("This feature requires Firefox 2.0. 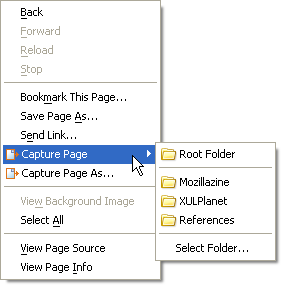 The 1st topic in the series, “Rethinking ScrapBook’s Browser Context Menu”. 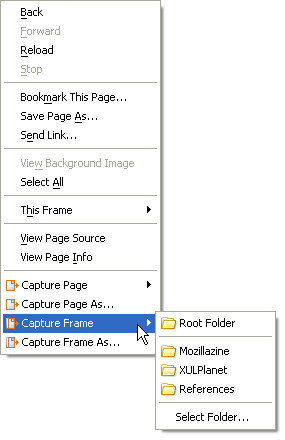 First time, I kick around the most popular [Capture Page] and [Capture Page As…] menus. Today we have these menus at the bottom of the browser context menu. 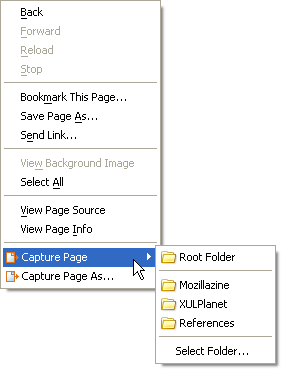 However, the feature of [Capture Page (As…)] is similar to Firefox’s [Save Page As…] one, so they should be ‘neighborhood’ each other. At least, both should be placed in a same category between two separators. Contorary to that, the standpatters might have such a viewpoint: additional menus of extensions are below Firefox’s standard menus in rank. We have [Capture Page (As…)] at the bottom. 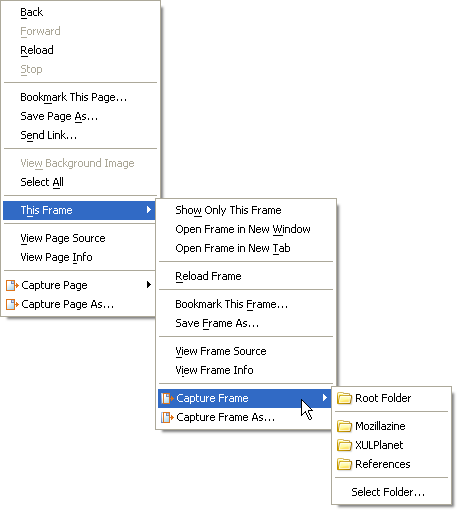 [Capture Page (As…)] and [Save Page As…] should be placed in close position.